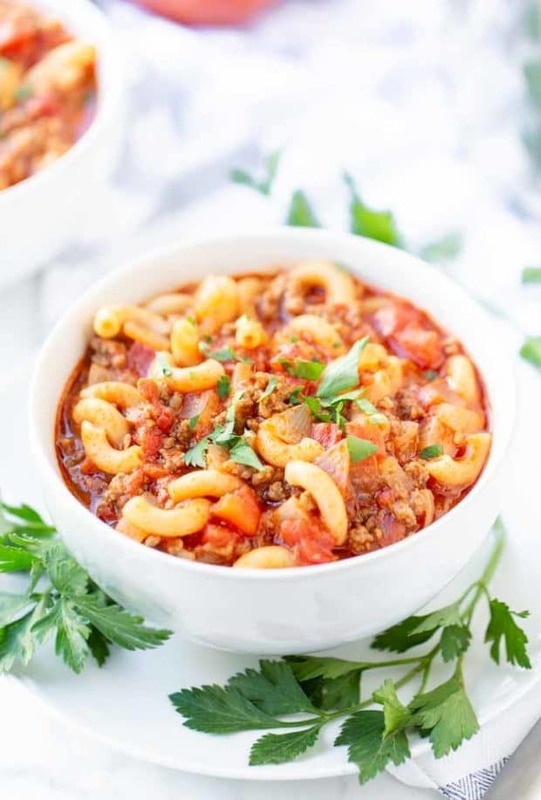 This delicious homemade goulash is the best easy dinner idea for a simple, quick meal your whole family will love! 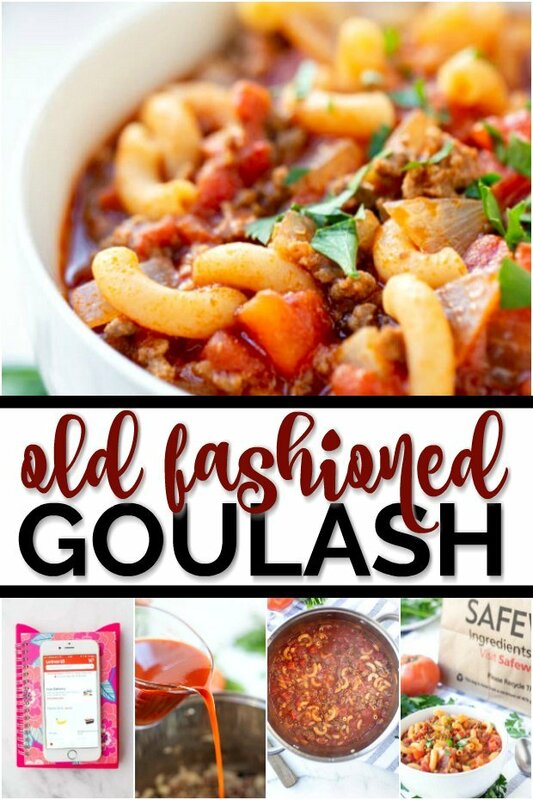 Thanks to the incredible Safeway Drive Up & Go service, I'm able to snag all the ingredients I need—without a hassle—for this old fashioned favorite: goulash. 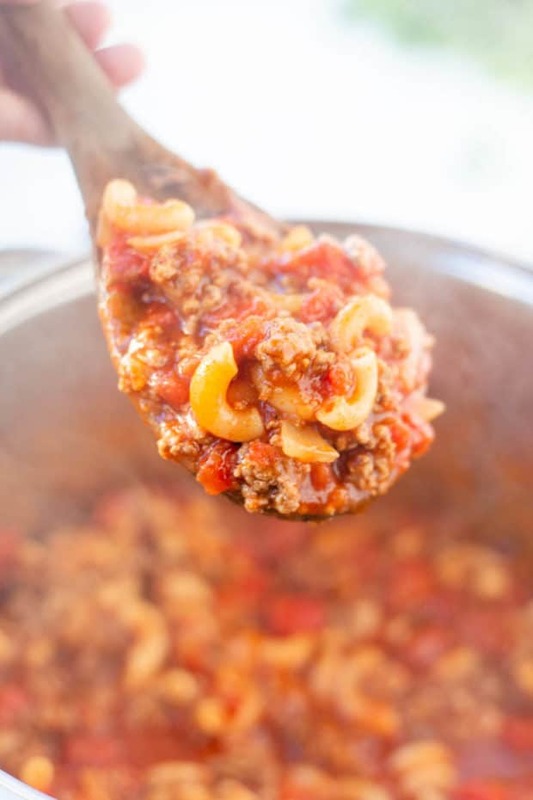 Our family's goulash recipe is made with ground beef and seasonings that combine in less than half an hour. This quick and simple recipe is an easy dinner with the best flavor for even the busiest evenings (especially during the holidays). You'll love this delicious, homemade classic that is a spin on the Hungarian goulash of yesteryear. You can also keep it warm in your slow cooker to serve a crowd. You'll want to order your ingredients from Safeway and then make this goulash pronto! You guys, life is oh-so busy. 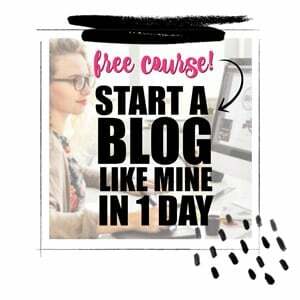 Sometimes—truthfully, kind of all the time!—I feel like there is more to tackle in a day than I can possibly get done. There is work, chores around the house, homework and extracurriculars on the daily. Thankfully, I have a secret weapon. A dream come true. A miracle! 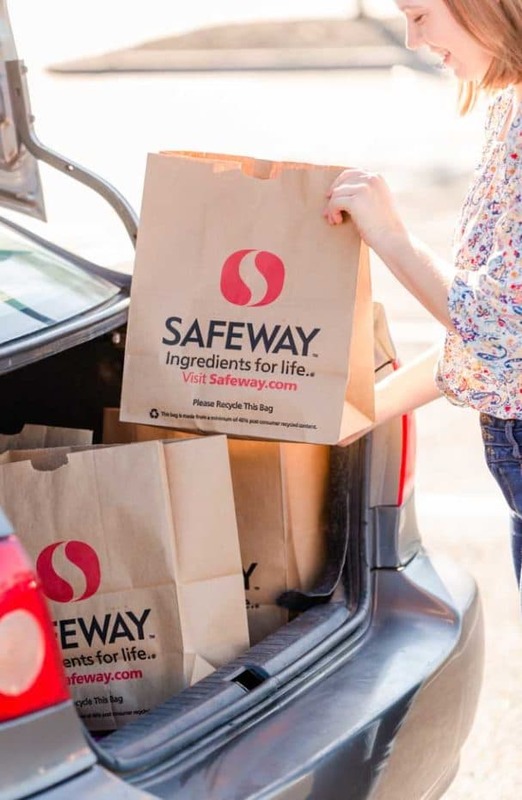 Swooping in to save both my time and sanity: the Safeway Drive Up & Go service. Let me tell you why I'm in love. At any given moment, you can find me scurrying around my house, trying to do far too many things at once. My days are a balancing act of all the things I need to get done and not enough time to complete them. BUT with Safeway involved, I can order my groceries online, in my yoga pants, in the middle of my one hundred other things, and schedule a pickup - allowing for more family time, too! Their app makes ordering from my phone an easy option as well. I love a well-designed app that helps make my day and life easier! When I arrive, a helpful employee pops the items in my car and I'm back to rest of my day without wandering through the store or standing in a checkout line. It's brilliant. There are also special savings involved! 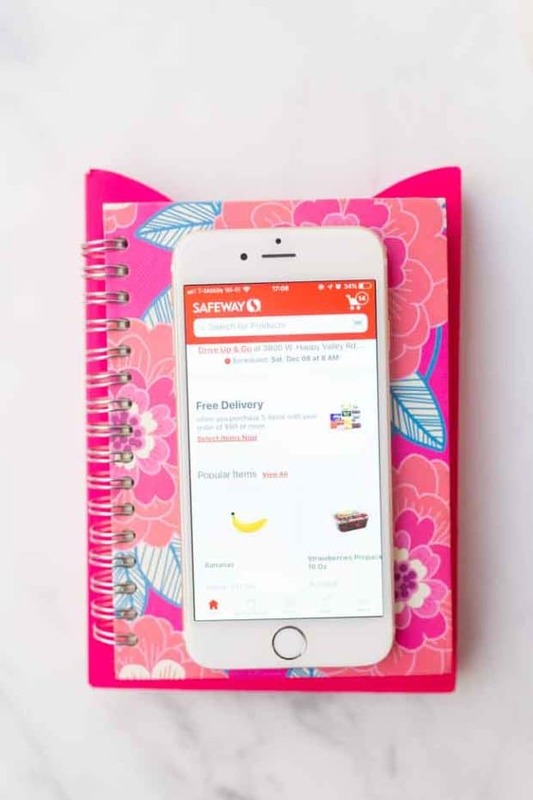 New customers receive $20 off + free grocery delivery on their first online order. Returning customers - remember to use time-saving services like Drive Up & Go at your local store or Grocery Delivery! Also amazing: you can "shop by history" when you're an existing customer, which means you'll spend even less time selecting your items when online. I purchased these products and more at my local Safeway, but you can also look for Drive Up & Go and Grocery Delivery services at many Albertsons Companies family of stores including ​Albertsons, Lucky, Pavilions, Randalls, Safeway, Tom Thumb, Vons, and Pak N Save. Click below to check out these services at your local retailer! When placing my order, I can select all the same goodies and ingredients I would if I was shopping inside the store. Their shoppers do an excellent job selecting the fresh produce that I expect as well as all the staples for inside my pantry. Which means I can snag the ingredients to some of my family's favorite meals, like the goulash I'm sharing with you today. Lemme tell you, this goulash recipe comes from my Nannie—so you know it's going to be great. I've grown up devouring it, and it's always been an often-requested original that I love. My boys all love it, too, so it's on a regular menu rotation for us. Years ago, when I finally asked Nannie for the recipe myself so I could make it at home, she replied, "well I don't have a recipe written down, honey." It felt like a classic grandma moment! This yummy favorite meal existed only inside her head with no recipe card for the rest of us. She went on to tell me that she just "eyeballs everything" until it tastes good. Ha! Thankfully, after a little experimentation, I have the recipe down perfect and now I'm going to share this old-fashioned dinner with you! I think you're going to love it as much as we do. Just in case you haven't grown up enjoying this homemade meal yourself, let me clue you in. Sometimes known as Hungarian goulash, it's a stew of meat and seasoning. 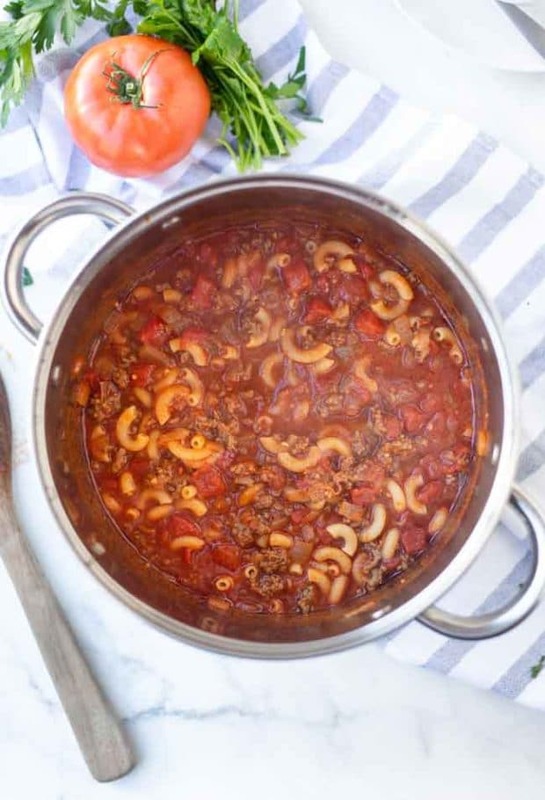 It's super hearty and delicious and comes together quickly and easily from scratch, all in one pot -- the perfect dinner even for the busiest nights. Now, are you wondering how you make goulash? I'd be happy to tell you! I'm sure there are many wonderful goulash recipes, but I'm partial to this winner from my Nannie. It's probably a little more American than Hungarian... but I think it's the best! I've had friends tell me they were skeptical about the V8 juice... but after tasting it, they were converted. The flavors are real and wonderful! You'll only spend about five minutes bringing everything together and less than 30 minutes with the goulash on the stove. It's really great for those busy evenings when you're trying to do everything at once. Begin with a pot over medium high heat, and cook the ground beef and onion together for about 3-5 minutes. Once cooked, add in garlic, V8 juice, diced tomatoes, elbow macaroni and seasoning salt. Bring to a boil. Once boiling, turn heat down to medium low and simmer for 20 minutes or until macaroni noodles have cooked through. Add in salt and pepper to taste. Garnish with parsley and enjoy! You could also top with shredded cheese to make a cheesy beef dish that is also yummy. When serving a crowd, you could pop it in your crockpot to let the slow cooker do the work of keeping it warm for your guests. Nannie also told me I can leave it simmering on low on the stove, which is great for the evenings when we're all eating at goofy times as we come and go to activities. 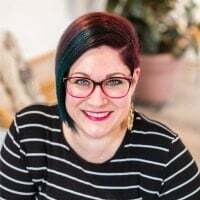 At the end of a busy day, with a belly full of tasty goulash, I reflect on all I've accomplished and my many blessings. I'm so glad I get to create delicious meals for my family. 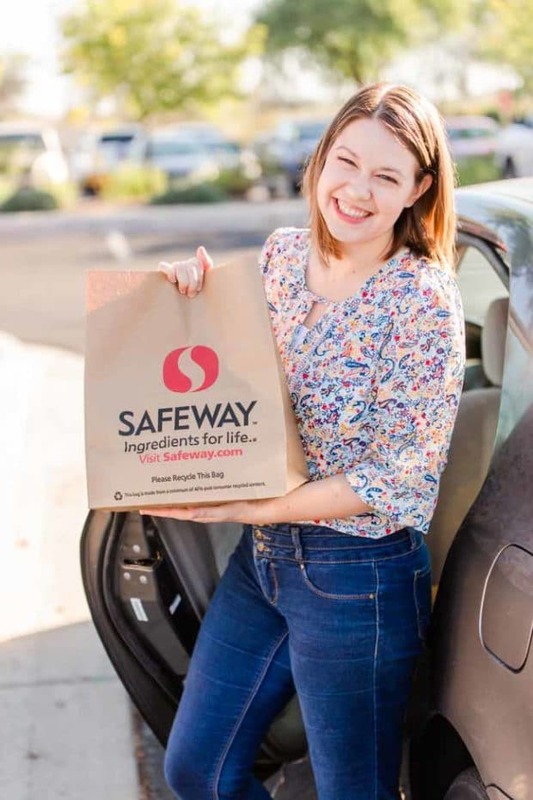 And I'm thankful for the amazing Safeway Drive Up & Go service that makes getting my groceries from our favorite grocery store more convenient and those awesome meals on the table for my family that much easier. 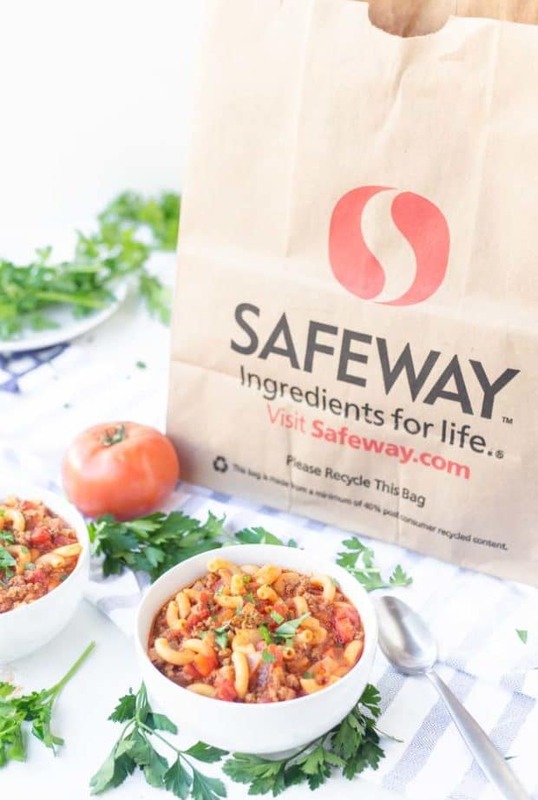 I hope you'll try both this yummy goulash and Safeway Drive Up & Go for your family soon! And don't forget the dinner rolls or yummy beer bread on the side! This old fashioned favorite is a simple, quick homemade dinner that comes together with ground beef and seasoning for the best flavor! In a pot over medium high heat, cook ground beef and onion together, about 3-5 minutes. Once boiling, turn heat down to medium low and simmer for 20 minutes, or until macaroni noodles have cooked through. I also use Spicy V8 juice. Adding in green pepper if I have one. Very good. Are the calories for the whole recipe, or per serving? Seems high for a serving size. I’ve been eating this since I was a kid but have never made it with v8 juice. Total game changer.